Newington police are warning residents in the northwest corner of town to keep an eye out for bobcats. Apparently there have been several sightings not far from Westfarms mall. Police are asking residents to use caution when allowing small pets outside. According to the DEEP, there were hundreds of sightings in 90 different cities and towns across the state last year. 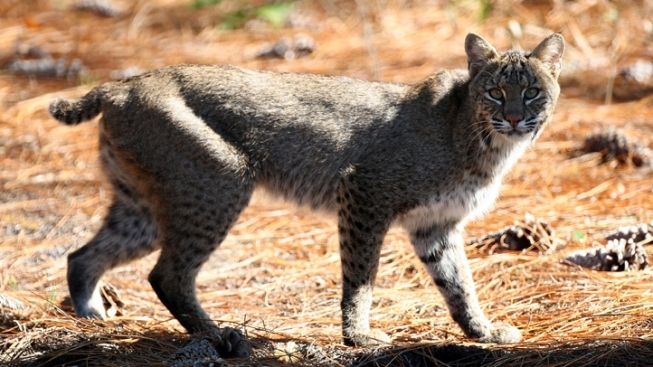 It’s believed there are thousands of bobcats in Connecticut. Nancy Miceli of Farmington says she has seen a bobcat several times this summer. “He is always running across my backyard. The last time we saw him was several weeks ago and he had a rabbit in his mouth. It was a big rabbit too. He didn’t bother us though. I’m not worried about it,” Miceli said. For more information or to report a sighting contact Connecticut Wildlife at 860-424-3011.